is the founder of the Taieri Gorge Railway and is now the joint owner of the company with the Dunedin City Council. 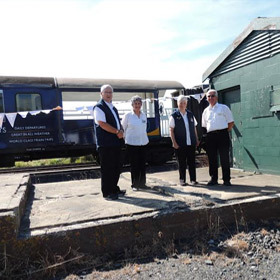 The Trust is an active participant in the operation of the Taieri Gorge Railway with its award winning volunteer members hosting passengers on the cruise ship excursion trains. If you are a member of the OETT and wish to view the members pages login. Got a login problem? Fix it here. Want to contact the OETT? Use email. 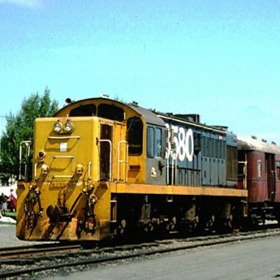 The OETT is a member of the FEDERATON OF RAIL ORGANISATIONS NZ INC. previously known as FRONZ. They also publish a monthly magazine entitled Journal. There is a link to Journal March Issue 185, here. You will also be able to access earlier editions. 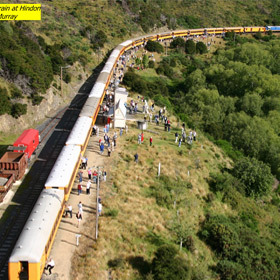 Visit Dunedin Railways to book train trips.